What is a Certified Organizer? 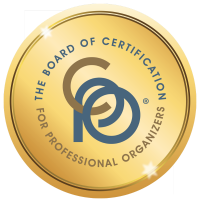 ​The Certified Professional Organizer (CPO) credential is designed to elevate professional standards, enhance individual performance, and identify industry professionals who demonstrate the knowledge essential to professional organizing and productivity consulting. CPOs have proven industry proficiency by documenting a specific number of paid transfer-of-skill client contact hours, passing the Board of Certification for Professional Organizers (BCPO®) examination, and agreeing to adhere to the Code of Ethics for Certified Professional Organizers. BCPO follows accreditation guidelines set forth by the National Commission for Certifying Agencies. 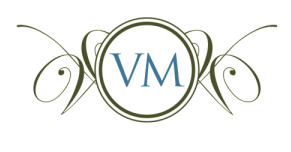 If attempts to get organized on your own have not led to the desired results, it's time to consider working with a Professional Organizer or Productivity Consultant. Finding and hiring an Organizing or Productivity Professional is no different than choosing an accountant, personal trainer, doctor, or other service provider. 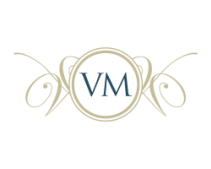 You will want to work with someone who takes the time to get to know you, understands your needs, and has the expertise to advise you and help you achieve your goals. ​What should you expect to pay? As with most professions, fees vary widely based on experience, geographic location, and the type of services requested. Many Organizing and Productivity Professionals charge by the hour, while others offer packages or charge by the project. Establish a budget for your project based on your conversations, and decide what feels most comfortable to you. How do you decide which Professional Organizer or Productivity Consultant is right for you? Your relationship with a Professional Organizer or Productivity Consultant will be a personal one. An experienced professional will ask a lot of questions about you, what you are looking for, and the issues you believe have thwarted your attempts to get organized in the past. They want to understand your objectives and determine whether they will be a good fit for you. It is in your best interest to be as candid and clear as possible about your needs and what you want to achieve.